Third Energy’s Ebberston Moor decision deferred – DRILL OR DROP? 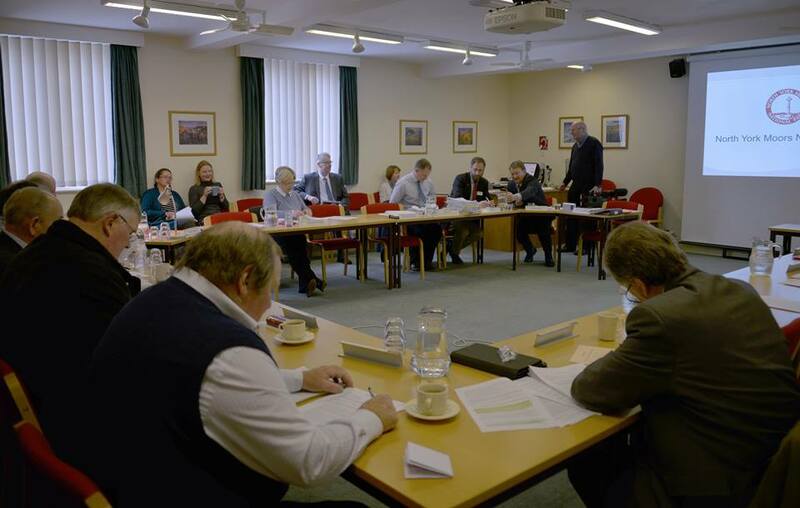 The North York Moors National Park planning committee, meeting today in Helmsley, decided it needed more information before it could approve or refuse the company’s application. Third Energy is seeking permission for natural gas production and water re-injection at the existing borehole at Ebberston Moor South Well Site. It also wants to drill a second borehole for water production and re-injection and to build a 13.9 km long underground pipeline form the Ebberston Moor South Well to the Knapton Generating Station. 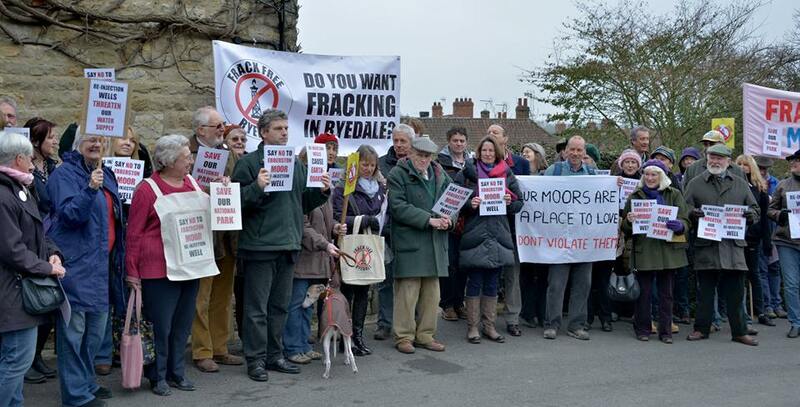 Chris Redston, of Frack Free Ryedale, said this evening: “We are satisfied that the North York Moors Planning Committee have decided to defer the application to re-inject 2.3 billion gallons of radioactive waste water under the National Park. “During the hearing it became clear that there were major deficiencies in the application, and numerous questions remained on issues such as effective mitigation measures, independent monitoring and the risk of water pollution, as well as many other environmental concerns that were made clear in the hydro-geologists’ reports before the Committee. Before the meeting, opponents of drilling and, in particular, hydraulic fracturing demonstrated outside the National Park Authority headquarters. One of the campaigners, Dave Marris, said local people wanted to make it clear that Third Energy was not welcome in the area. Third Energy already has planning permission for conventional gas production at Ebberston South. It also has a permit for waste water re-injection at another well site at Ebberston Moor, called Ebberston A, about 2.5 miles from Ebberston South. The company is also preparing an application for fracking outside the National Park at its existing well at Kirby Misperton. This is the second drilling application to be deferred in the past week. On March 16th, East Riding of Yorkshire Council confirmed it had postponed a meeting to decide an application by Rathlin Energy for up two exploratory wells at West Newton, in Holderness, north of Hull. I wonder if the anti fracking campaigners are also against wind turbines on their precious national park. If they don’t want small xmas trees on a drill site then they definitely won’t want turbines violating the views they love. Our national parks are indeed precious, and should be protected for future generations. Therefore we do not want ‘small xmas trees’ (ugly wells on drill sites) covering acres of natural beauty. I do not find turbines ugly, and in my personal opinion they are preferable to fracking drill sites, and the potential pollution of water, ground and air. America, Canada and Australia are finding out too late the damage that has been done, and now they are banning fracking in many places.